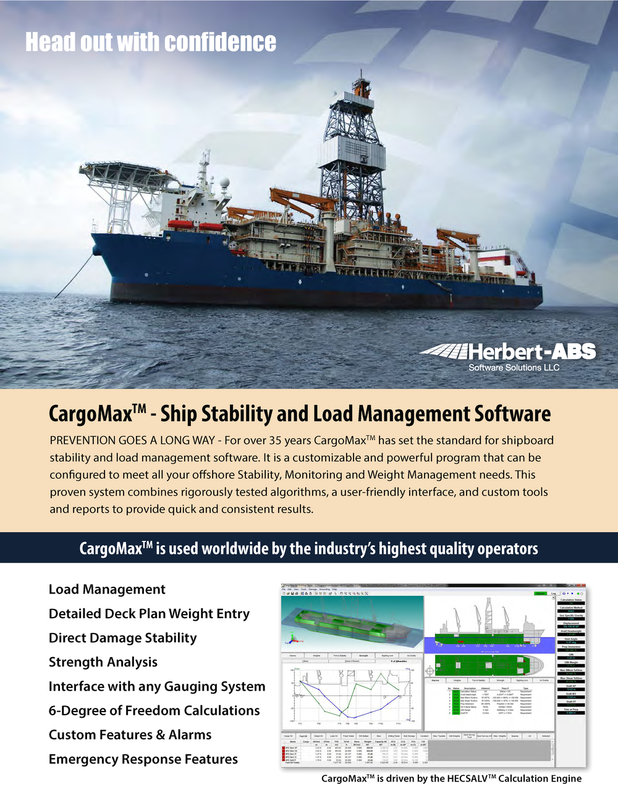 For over 35 years CargoMax™ has set the standard for shipboard stability and load management software. This proven system combines rigorously tested algorithms with a user-friendly interface to provide quick and consistent results, ensuring that the safety of the vessel is maintained at all times. © 2019 Herbert-ABS Software Solutions LLC. All rights reserved.